We envision an Appalachia with healthy communities and just, sustainable economies in balance with the region’s incomparable natural heritage. A leading nonprofit advocate for a just economy and healthy environment in the Appalachian region and a driving force in America’s shift from fossil fuels to clean, renewable energy. 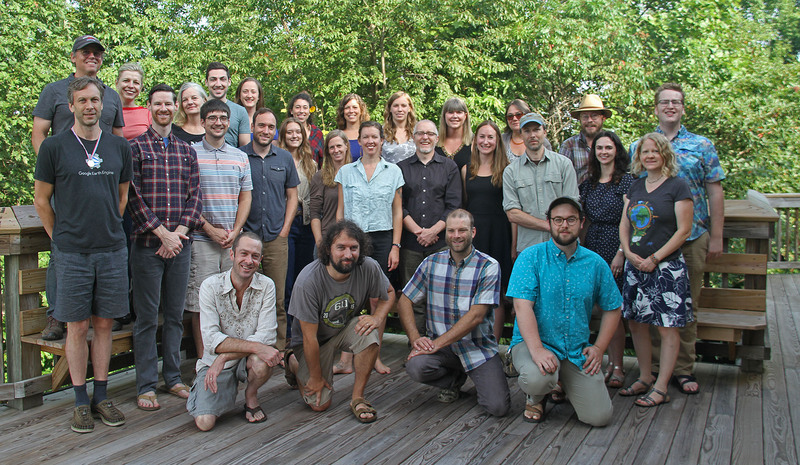 Appalachian Voices promotes diverse local economies and thriving communities and defends the land, air and water of our region from the worst environmental threats. We work at the nexus of the ongoing shift from fossil fuels to clean, 21st-century energy sources — we fight mountaintop removal coal mining, fracked-gas pipelines and other harms to the people and places of Appalachia, and we advance energy efficiency, solar and wind power, and other economic solutions that create community wealth and sustain Appalachia’s mountains, forests and waters. With offices in Boone N.C., Charlottesville and Wise County, Va., and Knoxville, Tenn., we combine grassroots organizing, policy advocacy and technical expertise to hold decisionmakers accountable in courtrooms, in state capitals and in Washington D.C. to effect positive change in the region. From our deep roots in Appalachia, we build enduring partnerships with local leaders and organizations, and forge strategic relationships with state and federal officials at the highest levels of power. Our currency is our credibility, based on 20 years of success. Our bi-monthly newspaper, The Appalachian Voice, reaches an estimated 150,000 readers across the country with stories of the people who are working to celebrate and protect the region. We hold a profound responsibility to safeguard our beloved mountains and rivers, our forests and farmland, our neighbors’ well-being and our children’s future. For more than a century, Appalachian communities have powered the growth of America’s industrial might and have suffered from the resulting pollution, ruined lands and poverty. Today, Appalachia is on the frontlines of America’s energy transition. Together with local citizens, Appalachian Voices is determined to build equitable economies that foster local prosperity, which we believe is essential to achieving meaningful and lasting change for the United States as a whole. Our country is facing unprecedented threats from the current national leadership, intent on demolishing hard-won environmental policies that protect our mountains, rivers and drinking water supplies, and that mitigate worsening climate change. But we are also poised for extraordinary opportunity as markets increasingly favor smarter, cleaner energy choices. 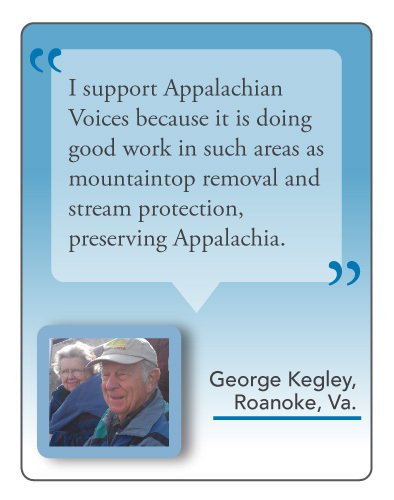 Appalachian Voices is focused on the long term. While fighting the worst policies coming from Washington D.C., we are making strides every day at the local and state level to achieve our goals. With a 20-year track record of innovative and successful campaigns, we are well-positioned to help lead the region toward a healthy, prosperous future.